Total Workshop search results: 25. 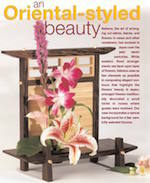 Displaying Page 1 of your woodworking search phrase WOODEN FLOWERS. Build a DIY modern garden trellis that is as beautiful covered in flowers as it is without! Free plans at the link. Our Jesus with Lilies Yard Art project would make a nice display at Easter time. Just cut it out and paint it and mount on a wooden stake for the yard. 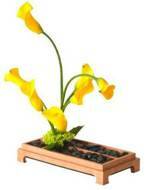 Display flowers in the traditional Japanese way with this finely crafted Ikebana stand. In Japan, arranged flowers traditionally decorated a small niche in rooms where guests were received. Our vase incorporates a serene background for a few carefully selected blooms. Ikebana, the Japanese art of arranging flowers, differs from Western practice by using asymmetrical form and including empty space as part of the composition. 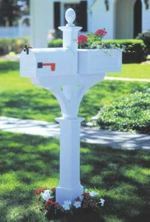 Any plant material, branches, leaves, grasses, moss, and fruit, may be used. The vase is considered an important part of the whole. With this simple project, you can create a pebbled stage for a few carefully chosen branches and blossoms. A source is provided with the plan for a flanged flower arranger. This cheerful flower chain will pep up your windows or glass patio door in the summer! These easy to craft wooden flowers look very decorative in the window sill or on a small shelf. Because they are not wide, they are perfect for those with minimal decorating space. For best results, create 2 or more as a matching set. 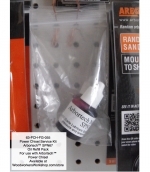 A perfect set of beginner project for scouting, guides and 4H Club woodworking projects. 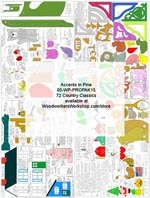 +70 full size scroll saw patterns, all printed on 4 large sheets of paper, each 18x24 inches. Also included is a 4 page color guide but of course you can paint the projects however you want. Ideal scrap wood projects. 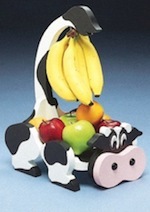 Projects includes are a variety of Village Racks,Holiday Shelf/Rack, Sliding Bookends, Wooden Spoon Wall Plaques,House Magazine Rack, Towel Racks,Versatile Wall Shelfs,Two Simple Bookends,Custom Key Chains, Trivets, Shelf Brackets, Baskets, Key Rack and Key Chains, Flowers an Mantle Match Holders. A single one of these flowers looks good on its own and even makes a nice gift. A group of these flowers looks even more impressive and just adds cheer to anywhere you place them. No flower says spring more than colorful tulips. These flowers have the advantage that they will brighten up your window sill and never wilt. Add some flowers to your view in five simple steps and make a bright window brighter with this easy project. This rustic-looking frame will keep sunflowers and other tall plants from flopping over in the garden. 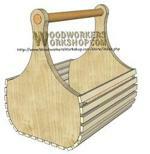 Link Type: free plans | Link Source: Woodnet | Visit the category | Fix Link? This basket is a fun project that can be used a great add-on gift when putting together a gift basket of fruit, flowers, pastry. Build with pine and tole paint or build from a hardwood and finish with clear coat for a beautiful gift. Easy to adapt, just make the slats longer to fit that special bottle of wine! Easily scale the pattern on your printer to make the size you want. A perfect beginner project for scouting, guides and 4H Club woodworking projects.